The Prime Minister of New Zealand has pledged to never say the name of the terrorist who slaughtered 50 innocent people and left many more needing critical care in hospital, in the name of white supremacy. Jacinda Ardern addressed grieving Kiwis and assembled law-makers, and promised never to utter the name of the twin-mosque gunman as she opened a session of parliament with a message of peace to Muslims. The sombre assembly took place on Tuesday (March 19), less than a week after the terror attack which has shaken the island nation and left innocent civilian victims fighting for their lives in hospital. He will face the full force of the law in New Zealand. He sought many things from his act of terror, but one was notoriety. That is why you will never hear me mention his name. He is a terrorist. He is a criminal. He is an extremist. But he will, when I speak, be nameless. I implore you: Speak the names of those who were lost rather than the name of the man who took them. On Friday, it will be a week since the attack, members of the Muslim community will gather for worship on that day. Let us acknowledge their grief as they do. Wa alaikum salaam wa rahmatullahi wa barakatuh. May the peace, mercy, and blessings of Allah be with you too. 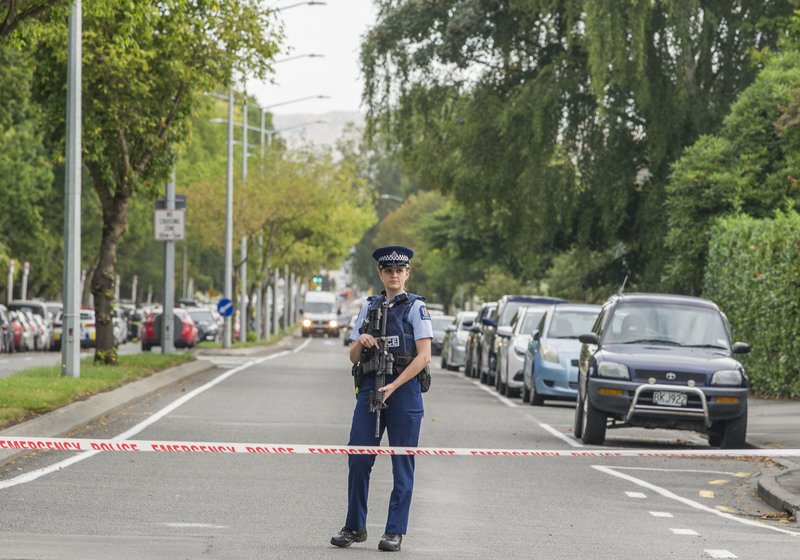 As the families of those lost arrive in New Zealand ahead of expected funerals – which have already been delayed far beyond the 24 hours after death usually observed under Islamic custom – the message compounds the grief. Peter Elms of New Zealand’s immigration department said 65 visas had been granted for overseas family members so far, reports Radio New Zealand. Meanwhile, Ardern’s cabinet unanimously voted to reform the New Zealand gun law within a week of the attack, she announced yesterday. Ardern made the announcement alongside her coalition partner and Deputy PM Winston Peters, who’s previously opposed changes to gun law. The reality is that after one pm on Friday, our world changed forever and so will our laws. The Australian white supremacist terrorist has been charged with murder since freely admitting responsibility for the terror attack in a so-called manifesto.